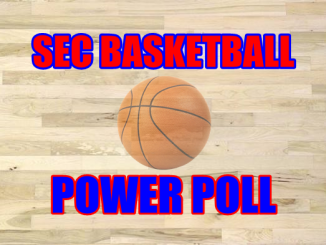 Tennessee remains at the top of this week’s SEC Power Poll followed by LSU and Kentucky. 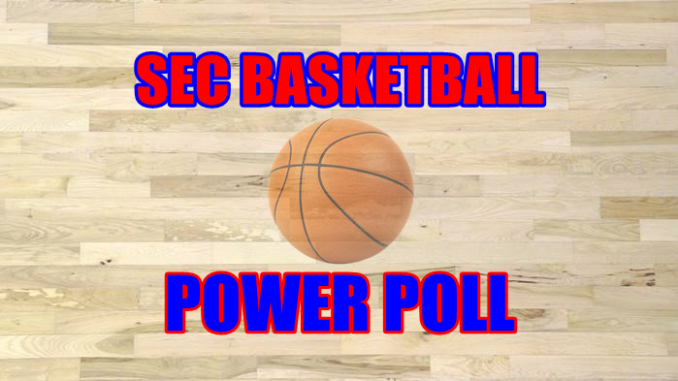 Look inside for the complete SEC Basketball Power Poll for this week. Another week and another pair of wins for the best team in the SEC. The Vols finally found themselves in a close one, but their 12th win in a row was sealed when Kira Lewis Jr. of Alabama pushed a half-court heave at the buzzer just a little long. Vanderbilt is next on tap for the Vols. The Tigers jump to the second spot on our list as the only team unbeaten in SEC play outside of Tennessee. A couple of dominant wins over previously unbeaten teams in league play (Ole Miss and South Carolina) made for a banner week for LSU fans. The Wildcats picked up a big in over No. 14 Auburn as Kentucky finally performed on the road. Their ability to pick up a win after letting a 17-point second-half lead bodes well for their resiliency in March. Ashton Hagans continues to star. The game against Kansas is huge this weekend. 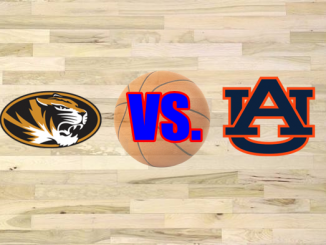 Auburn moves up a couple of spots despite their two-point loss to Kentucky. The Tigers ran the Wildcats down after shooting just 33-percent in the first half, with Bryce Brown continuing to look like a star as he poured in 28 points for the game. Ole Miss saw their 10-game win streak snapped last week when they ran into an LSU buzz saw at home and lost 83-69. The Bulldogs though are playing with house money after their hot start to SEC play and they got right back on the horse as they overwhelmed Arkansas on Saturday. The Gamecocks also drop a spot as they lost to LSU and beat Vanderbilt in a game that was closer than Frank Martin would have liked. This team needs to keep Chris Silva on the court in big games to be competitive. The biggest riser of the team is Mississippi State who pulled their SEC record back to 2-2 with a three-point win over Florida and a dominating effort against Vanderbilt. The 16-point win was based on the stifling defense that Ben Howland wants to be the hallmark of his team. It was a week that went as expected for Alabama. Winning at Mizzou was nice, but their near upset of Tennessee (where they lost by three) was the biggest shock of the week in the league. This is a dangerous team that will be lurking come conference tournament time. This was almost a much better week for Florida as they did everything but win their game at Mississippi State in a three-point loss. Their recovery was impressive, with the Gators defense turning up in a big way as they held Georgia to just 52 points on its own court. Florida will need wins this week as the beginning for February looks brutal. As the only one win team in the league to pick up a victory this week, Mizzou slides into the No. 10 spot almost by default. 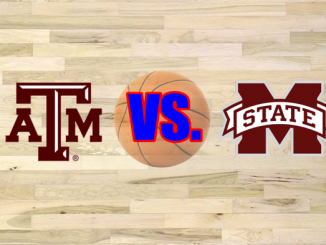 The win was impressive, however, as they held Texas A&M to just 43 points in a 66-43 win in College Station. Georgia has now lost three in a row after beating Vanderbilt as Kentucky and Florida both came into Athens and picked up wins this week. This is another school just not scoring enough points as they averaged just 50 points per game over the two losses. It was an ugly week for the Hogs as they were blown out twice on the road against ranked teams. Tennessee is an outstanding team, but allowing 106 points in Knoxville is not a good look. You cannot lose by 23 on your home floor against a team that was winless after three SEC games. The Aggies had problems scoring all week, putting up just 66 against Auburn and then 43 against Missouri. 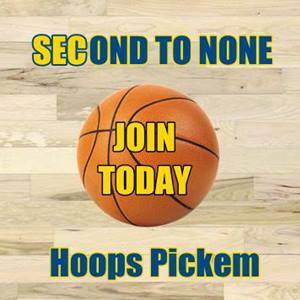 The loss to Texas Southern at the end of non-con play has ruined the Aggies league season so far. The ‘Dores continue to be winless in SEC play despite a valiant effort against South Carolina. It doesn’t get any easier for Vandy with the next three games being against three ranked teams in Tennessee, Oklahoma, and Kentucky.